From The Perfect Bridal Company, Dixie is a beautiful, round toe wedding court shoe, with leather ankle strap for added security. A gorgeous mix of brocade and delicate lace with a scalloped leather binding make add to the sheer elegance of this pretty bridal shoe. 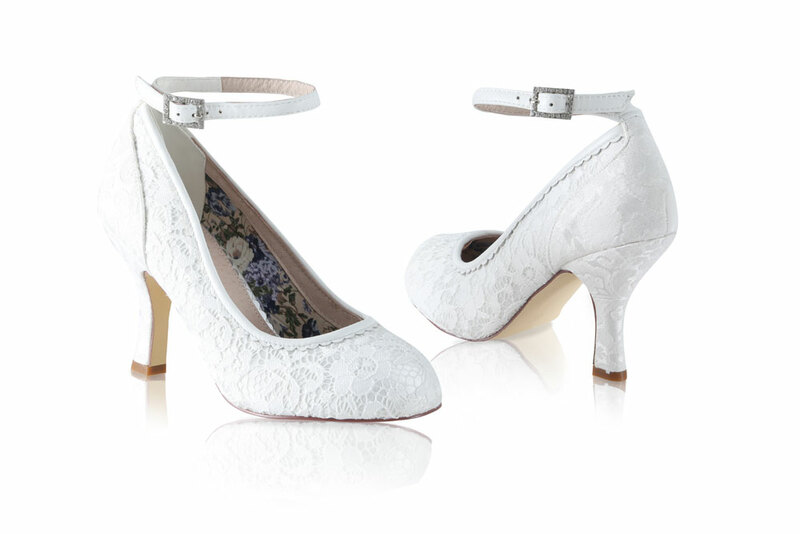 Click the button below to add the Perfect Bridal Shoes Dixie Ivory Lace Wedding Shoes to your wish list.